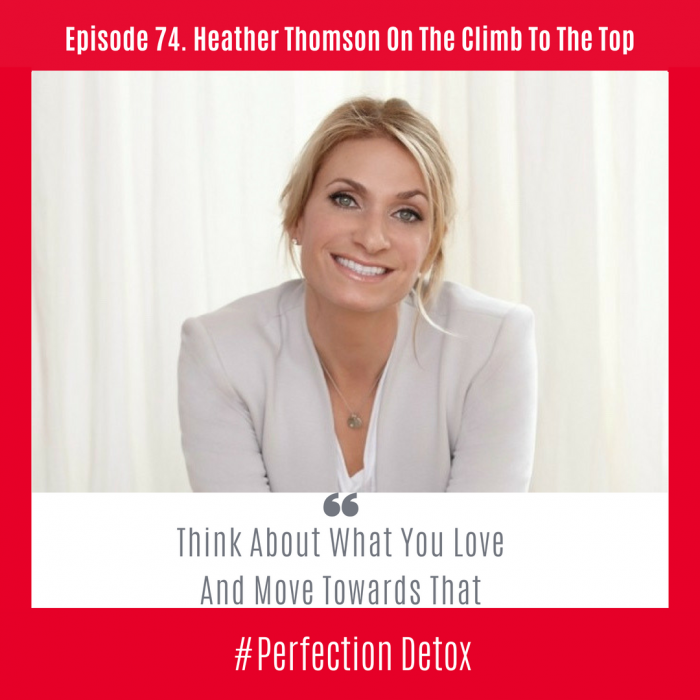 In this conversation, Heather shares both her highlight reel and more interestingly her backstory about the hard work and hustle that it took as she climbed the mountain of success. Not content to sit on her celebrity status that she found through her time on the hit reality show, The Real Housewives Of New York, Heather recently took her success all the way to the top of the mountains of Nepal, to help raise money and awareness for the underserved in that community. We begin the show by talking about how Heather engineered her own, “school of design” through mentorship, hard work and her ability to turn every opportunity into street credibility within the fashion industry. Raised by a mother who encouraged her to follow her passion, Heather climbed her way up the ladder through hard work and creativity, to eventually become the founder of her own, very successful line of fashion wear. Heather shares what it took to enable her to do it “afraid.” She talks about the fact that she never sought overnight success, but rather a foot in the door that would allow her, along with patience and persistence to succeed and soar. Heather shares that her drive and ambition are also balanced by her desire to help those around her also succeed. We talk about the importance of recognizing our light and unique talents that we bring to the table, along with the power of collaboration and especially the importance of mentorship. We talk about the fear of failure and it was refreshing to hear Heathers perspective on this topic. While we all have fears, Heather shares that she “starves her fears by feeding her faith.” She goes on to say that her failures do not define her but rather they mold her into the strong dynamic person that she is meant to be. She talks about the importance of creating a resilient mindset that will allow you to embrace the good the bad and the in between. We talk about Heather being an “everybody-ist” and she believes that to be able to create change in this world, it is important to create a diverse and dynamic table where many different people and personalities are invited. She talks about the importance of learning the skill of reading a room to be able to get an emotional pulse at every meeting. This is the way you are to able to create a team where everyone can shine and succeed. Heather talks about ‘the adversity advantage” and how often our worst times can be the catalyst moments for the greatness to appear. She also talks about the importance of recognizing the times when we may also need to sit in the dark times for a while and allow ourselves to dig deep to see what is really under the fear or negative emotions. Shifting gears we touch on her time in the world of reality TV when she was a fan favorite on The Real Housewives Of NYC. She shares her most unexpected lessons from her time in front of the camera and how she has leveraged her “fame” to raise awareness for her charities. Just last week Heather completed her climb to Mera Peak in Nepal. This 21,246 feet climb is one that would challenge any of us, but in true Heather fashion, she completed the challenge with heart.